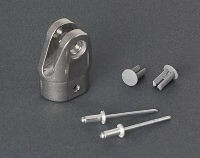 Cast aluminium half round leg top for Fiamma Caravanstore, F35 and small sizes of F45 S awnings. This is the leg top which attaches to the swivel joint on the awning. 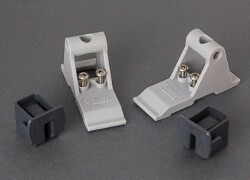 Pair of wall mounted brackets to secure the legs of Fiamma awnings to the vehicle wall. Made in Aluminium. 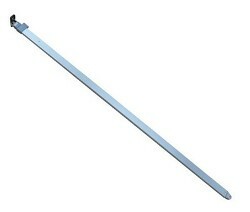 Replacement left hand awning leg for Fiamma F45 and F50 awnings in 250 length. 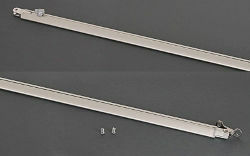 Replacement right hand awning leg for Fiamma F45 and F50 awnings in 250 length. 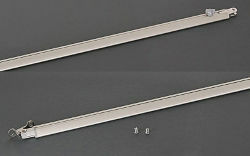 Replacement left hand awning leg for Fiamma F45 and F50 awnings in 300 length. 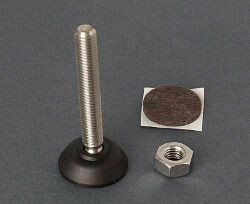 Replacement right hand awning support leg for Fiamma F45 L and F45 Ti L awnings from length 400 to 550. Replacement left hand support leg for Fiamma F45 S awnings from length 250 to 260. 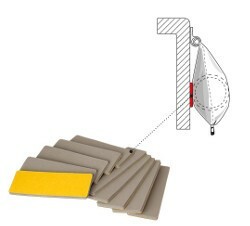 Also compatible with previous versions including F45 Ti, F45 i, F45 Plus and F50 Pro awnings. Right hand awning leg for Fiamma F45 S awnings from 250 to 260 lengths. Also compatible with previous versions including F45 Ti, F45 I, F45 Plus and F50 Pro awnings. Replacement sticker for the front lead bar of the Fiamma F45 S awning. 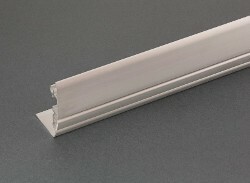 Replacement aluminium lead bar for Fiamma F45 S awnings in 350 length with Titanium case colour.